More than 50 players are being considered for dual contracts, Welsh Rugby Union (WRU) boss Roger Lewis says. Of those players, 10 to 15 are expected to be awarded a contract as part of a deal between the WRU and the regions. Negotiations have begun between the four regions and the WRU to discuss which players should be selected. "We'll work together with the regions to ensure that the very best players are looked after," Lewis said. Initially, the £60m deal suggested dual contracts would be offered to six players but that number has since risen. "Those 50 players must be looked after at the highest level so if they don't make it on to the national dual contract list, we've got to still ensure those players are given the best possible opportunity," chief executive Lewis said. "On Warren's [Gatland] list are players that he's identified that are playing their rugby outside of Wales that we want to bring back." In recent years, a number of players have left Wales for clubs in England and France including Leigh Halfpenny to Toulon,George North to Northampton and Jamie Roberts to Racing Metro. 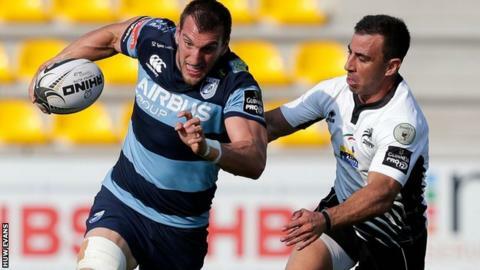 The WRU and four regions - Cardiff Blues, Newport Gwent Dragons, Ospreys and Scarlets - signed a six-year agreement in August after almost two years of disagreements over funding. The deal also allows regions to have up to eight overseas players but two must be "time-serving" for international duty. The Ospreys' newest signing, South African lock De Kock Steenkamp, has already said he wants to play for Wales at the end of his three-year deal with the region. Former Wales captain Michael Owen is one of those who has criticised this residency rule, saying it is a joke that undermines academies.